Sketchfab Ambassador Quentin Geluykens hosted a meetup for us in Brussels this weekend. Read about their Saturday afternoon. 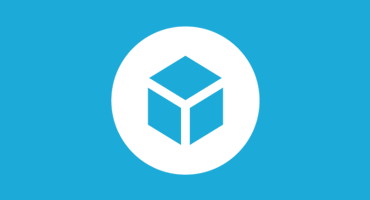 If you’d like to host a Sketchfab meetup, then read our guidelines! We’re happy to support you and buy you a round of drinks! The event went really well, we were between 12 and 16, depending on the moments. Most of the people stayed for four hours and we all had very interesting talks. Pierre-Emmanuel Soumois from Frosty Froggs showed us a tech demo they made in Unreal Engine. The artist from their team couldn’t join but we awarded him a few likes. A funny and unexpected thing: 2/3 of the people present are students from the HEAJ/ESIAJ in Namur, which is my former school. One of them, France Cortequisse, is really enjoying the animation features. A few members of the Belgian Blender User Group dropped by as well. We spent some time looking at models and they had a lot of questions on “how to do this, or this », about some bugs (which we solved). There were also quite a few ideas about future meetups: they’d like to have presentation and maybe even short workshops/masterclasses. They also brought me a few feature requests for the player and the website, and some of them are REALLY interesting. I’ll email the team about them as soon as I can take some time to explain them in detail (I wrote them down). Thanks so much for hosting this event for us, Quentin!